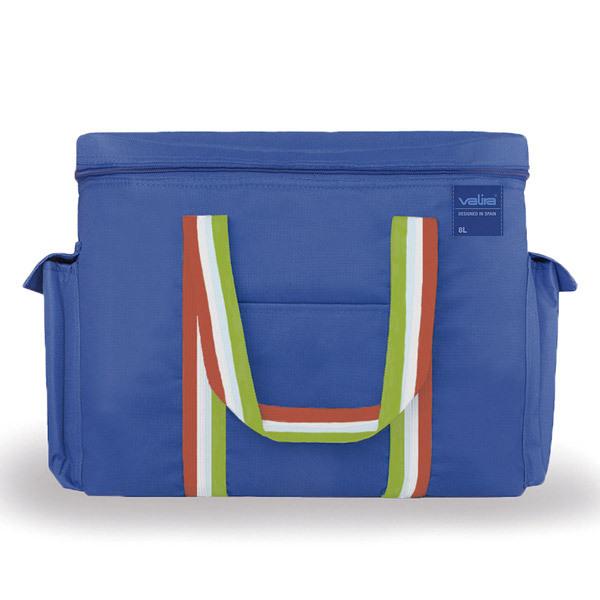 This 22L Blue Beach Cooler Bag by NOMAD has an anti-stain exterior with re-inforced seams. The polyurethane mousse gives it a high thermal efficiency, and the interior material is waterproof. - Doesn't retain food odours. Since 1970, Valira has been one of the leading sellers of aluminium cafetieres in Spain, and with constant innovation concerning other products, it has also been a pioneer and leader in the manufacture and commercialisation of aluminium saucepans. Moreover, the brand has recently introduced a line of aluminium induction plates equipped with the patented TAI (advanced induction technology) system, bringing a definitive solution to the use of this material in induction cookers. Furthermore, Valira has been revolutionising the food transportation and preservation market thanks to its collaboration with Nomad, which allows for the best conditions in which to transport and consume foods, in order to eat wherever desired as if in the comfort of one's own home. All Valira products are BPA-free and are 100% leak-proof.